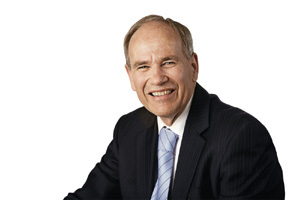 Auckland Mayor Len Brown is proposing changes to the way the city's rates are apportioned between commercial and residential property owners. The council decides how much money it wants to collect in rates and then uses rating valuations to apportion the amount of rates to be paid by individual property owners. Although rising valuations do not affect the total amount of money the council collects in rates, owners of properties that have risen strongly in value will likely face a bigger increase in their rates bill than owners of properties that have not risen so much in value. According to the mayor's office, the capital value of residential properties in the city rose by an average 34.6% in the recent rating valuation. However commercial property values rose by less than half as much, increasing by an average of 15.8%. That has altered the balance between the residential property owners' share of the total rates bill and the share that would be paid by commercial property owners. If the current formula for apportioning rates was applied using the new valuations, it would mean residential property owners' rates bills would rise by 5% while commercial property owners bills would decline by 8%. "This doesn't seem fair to me," Brown said in a statement. He is proposing to offset the impact of the property revaluations by holding the amount to be paid by commercial property owners at a third of the total amount of rates to be collected, the same as it was for the current 2014/15 year. That will prevent an additional share of rates being transferred to residents, he said. The Mayor is hoping to have the change included in the council's Long Term Plan for 2015-2025. The proposal is likely to please residents although business owners may not be so happy. Although rates are levied on the owners of commercial properties, under most commercial leases it is the responsibility of their tenants to pay them and in most cases that will be the business occupying the premises. Len is a very clever man, he treats everyone of us as equally as an instant ATM machine. you meant quick deposit ? According to BC.. He's away with the pixies. Those ideas are never going to fly. Auckland's roading system was never designed to meet current traffic loads. Have they been upgraded to 8 lane thoroughfares yet? Very much more than 8 lanes for GNR and GSR, but the extra lanes are on high-speed motorways that run alongside, designed for inter-city traffic, but uses mostly by residents to get around. So my rates cannot fall as the relative value of my commercial property falls. So we are now further rewarding speculation on non productive property. Let's add more costs to businesses that employ people. Auckland will go bankrupt eventually. Like any ponzi scheme the architects will get away scott free and the rest of us will have to pay. The power to collect rates will lead to more borrowing and more rates needed to pay the interest. That is my understanding unlike the US yesyour rates are not likely to fall. However you are incorrect on one thing I think. So the rates are set based on how much money is needed, therefore you pay a % of that, if your commercial property rises in value it doesnt matter, everyone elses will as well, ditto if it drops, everyone elses will as well. So the actual value simply doesnt matter. Hence really you dont get costs added to you specifically more then anyone else. All cities will eventually go bankrupt and many southern EU and US cities are I think pretty close to it. The ponzi scheme is one of including yourself we all assume growth can continue for ever on a finite planet, so an utter basic math failure or failure to look. No one really is not to blame for this coming mess. Your last sentence doesnt really make any sense. Really its the lack of power to borrow more that causes more borrowing and frankly its simply wrong IMHO. So the % increases is controlled but the amount of borrowing is effectively not except at the limit invsetors will lend, Kapiti for instance is at that limit more or less. Thanks Steven, I understand how the rates are set, but what I am saying is that Len has moved the goal posts, where I should have had a rates reduction relative to a residential property of the same increased value (increase in value less than average and less than average by more than the increase in the rates), Len has decided that I should not have that because I have a commercial property. Len can change the rules so that he can get more votes. I don't assume that growth can continue for ever, as that is mathematically impossible. Ah, I see, your point now, thanks, that doesnt very sound fair. Sadly I think our pollies are more deluded than most re-growth for ever. So of the farmers I know a little for instance they are saying thier farms are rated on the assumption its all grapes and the returns are high when in fact the return has 1/4rd in 5 years. Somehow 4~5% per year the councillors agree to seems so little, that however is a doubling of rates every 17 years or so. In fact my rates have tripled in 17 years and in another 17 look to have tripled again, how the hell do I retire with bills like that? They are starting I think to divide and conquor the rate payers. So this year / term maybe indeed you'll be hammered, then they'll switch to whomever looks the least vote loss next. Growth however seems to have stopped about now and not off in the future lots dont think that, yet. Waymad has absolutely nailed the political motivations. I can only add a couple of technical points. The Rating Powers Act is so broad that a council could apply differential rating based on the colour of your letterbox if they wanted to. There was a time - pre computer - when the commercial differential made a little sense. Commercial properties often consumed more public resources than residential properties. If you only had resources to calculate one rate then making businesses pay a little more kind of made sense. These days the ability to impose targeted rates for CBD amenity, per pan charges on sewer, metered water for commercial properties. uniform annual general charges for community services etc etc etc means that the old residential/commercial differential has no meaning at all. Economically and morally it's a crock but hell convenient politically as waymad points out. TLA pollies are exquisitely sensitive to the Rates Required node in the LTP financial models. DC's, tolls, fees, charges and recoveries are not Rates. Pollies are very good at Counting Voters. Most Voters are residents, not business owners. Increase Everything-but-Rates: the pressure then goes off Rates Required. No-one ever said this stuff would be Pretty. Is anyone else affected in the same was as I am: whenever I see or hear anything of Mayor Brown my heart sinks and disgust wells up? Auckland has got to start living within its means like all the people who live here have to . The sheer waste , inefficency and extravagant expenditure has to come to an end . I find it astonishing that so many people working there, doing very lttle , earn over $100k a year . In my interactions with them its a typical civil servcie environment , with no sense of urgency and ZERO understnaing of the imperative of Commercial Urgency that drives the real world .